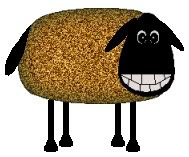 Craftiepants 123...: Happy Anniversary ! 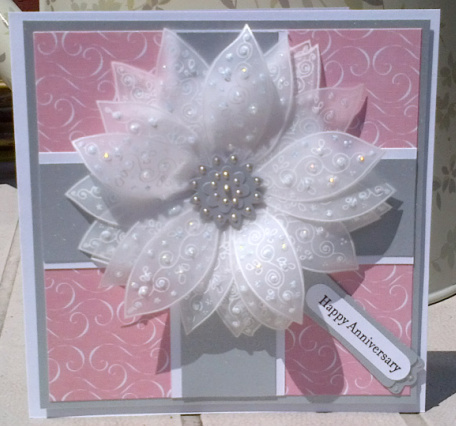 I made this anniversary card for my friends who are celebrating 25 years of wedded bliss! It features a mutli-layer vellum flower. According to wikipedia, vellum comes from the latin word 'vitulinium' which means, 'comes from a calf'. Real vellum is made from animal skin that has been scraped smooth so as to let light passs through it. It's actually really thin parchment paper. Thankfully, modern vellum is made from plastic and cotton. I would feel terrible giving someone a card with a real calf skin flower on it!! To make this flower, I stamped several five petal flowers onto vellum using Stampin' Up! White Craft Ink, then cut them out. The top layer has a touch of Diamond Stickles added for a bit of sparkle. The sentiment is from Teeny Tiny Wishes, by Stampin' Up!, stamped in black, then punched with the SU! Word Window punch. 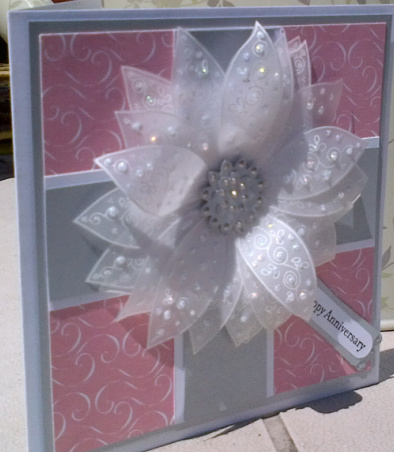 Sentiment backing is silver card stock which was punched with SU! Modern Label punch. The centre of the flower is also silver card stock and is dotted with Champagne Liquid Pearls. Happy Anniversay! I love this card. What stamp set did you use for the flower?